The English Tripos will give you the chance to study some of the greatest works of literature from the past 700 years, teach you how to connect them in exciting new ways, and encourage you to reflect on today's culture in its rich and complex relation to the past. It's also about concentration and sharp focus, thinking afresh about how and why texts connect with readers and (sometimes) make a difference to the world. At Fitzwilliam we introduce you to a wide range of approaches and encourage you to develop your own perspective and critical voice. We typically admit eight or ten undergraduates per year. For those starting the course up to and including October 2019, the English degree at Cambridge consists of two parts. Part I, which runs over the first two years of your degree, consists of six papers. Four introduce you to the history of literature in English from the Middle Ages to the present day, with Shakespeare as your fifth topic and a course in 'practical criticism and critical practice' as your sixth. Almost all students choose to sit four examinations rather than six, replacing one of the period papers with a dissertation and another with a portfolio of three essays. Students with a strong background in languages might opt to replace one of their period papers with a paper from the Modern and Medieval Languages Tripos or the Classics Tripos, or to learn Old English or Old Norse from scratch. Those starting the course from October 2020 onwards will still study the same six papers over the first two years but will sit a Part IA examination in the summer term of their first year. This will require them to submit a portfolio of three essays relating to their work on Shakespeare and to sit a written examination on ’Practical Criticism and Critical Practice’. They will then be examined on the remaining four papers for Part IB at the end of their second year. It will be possible to replace one of these four papers with a dissertation. Part II is taught in the third year of the undergraduate course. Here you both build on what you’ve learned in Part I and explore a range of new and exciting options. There are five elements to Part II. Two papers are compulsory, on Tragedy and Practical Criticism; in addition, you can chose two optional papers from a wide range of possibilities (including Literature and Visual Culture, Shakespeare in Performance, Modernism and the Short Story, American or Postcolonial Literature) and write a dissertation on a subject of your choice. Everyone writes one dissertation and some students choose to do a second dissertation in place of another exam paper. Whist the University runs various programmes for writers in residence who offer some teaching, creative writing does not feature as a part of the Tripos exams. For further information on the English Tripos, see the English Faculty website. English at Cambridge is taught by way of University-based lectures and seminars, together with College-based teaching in the form of supervisions and classes. In supervisions students are taught in very small groups (usually in pairs) and will normally hand in essays beforehand which act as the starting point for discussion. Some supervisions take place at Fitzwilliam and some in other colleges. English is one of the liveliest subjects at Fitzwilliam. Our students benefit from the generosity of alumni who have provided funds to support them in all sorts of activities, from studying a foreign language to travelling to research a dissertation, to visiting the theatre. 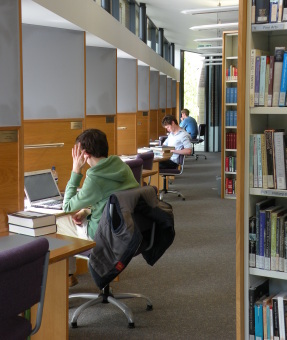 The state-of-the-art Olisa Library is both an invaluable resource for students and a wonderful place in which to study. Not surprisingly, many recent English students have been involved with the written word beyond the concerns of their course, whether as editor of a university newspaper, founder of an interdisciplinary journal, as poet, writer and illustrator of children’s stories, or as the author of a trilogy of novels. Others have acted or directed, or performed as musicians or comedians. Two have been elected President of the JMA (the College’s student union). Notable English Fitzwilliam alumni include Catharine Banner, Nick Drake, and Giles Foden. All applicants are required to sit the ELAT (English Literature Admissions Test) prior to being invited to interview. More information can be found on the University website. Applicants are also asked to submit two essays as part of their application. Candidates who are invited for an interview should also come prepared to discuss their reading both inside and outside the A-level syllabus. The interviewers will pay considerable attention to the candidate's willingness to engage with unfamiliar angles of interpretation. Intellectual curiosity, imagination, the capacity for incisive analysis, organisational ability and commitment to hard work are all qualities we value in our English students. Before coming for interview, you might like to visit Converse, one of the resources for prospective students provided by the English Faculty, which provides sample readings of poetry and some useful tips on close reading skills. The Virtual Classroom includes literary exercises and quizzes, and a sample class on medieval literature. Other Faculty resources are also worth exploring. Prospective applicants are encouraged to attend one of our Open Days in order to find out more about the course and the College. Fitzwilliam runs an annual English Tast​er Day for year 12 students who are interested in studying English at university. More information can be found here. The College has two Fellows with research and teaching interests in English. Kasia Boddy is Director of Studies for Part II and a University Lecturer in American Literature. Before coming to Cambridge, she worked for many years at University College London. 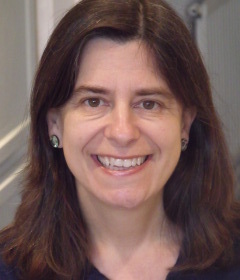 Her teaching and research focus primarily on American literary and cultural history. One strand considers the perpetual back and forth between short and long fictional forms. Now working on a book on the idea of the Great American Novel, she has published extensively on short fiction, including The American Short Story since 1950 (2010), and has edited or co-edited several anthologies, including The New Penguin Book of American Short Stories (2011). She is also interested in exploring the imaginative resources offered by activities such as sport and horticulture, which have become ubiquitous to the point of saturation in modern life, but which for the most part enter only obliquely into literature. Boxing: A Cultural History (2008) and Geranium (2013) consider the often incidental representation in literature of events, activities, and objects whose meaning and value is historically contingent. Hero Chalmers is Director of Studies for Part I. She teaches for a variety of papers in the English Tripos, spanning Shakespeare, Renaissance literature and Tragedy. She is the author of Royalist Women Writers, 1650-1689 (OUP, 2004) and co-editor of Three Seventeenth-Century Plays on Women and Performance (MUP, 2006). She has also published a number of articles on seventeenth-century women writers and, most recently, on Shakespeare and Fletcher's Henry VIII. She is currently embarking on new research into the complex relationships between politics and poetics in writing by women from the 1640s through to the 1660s.